Games are fun. 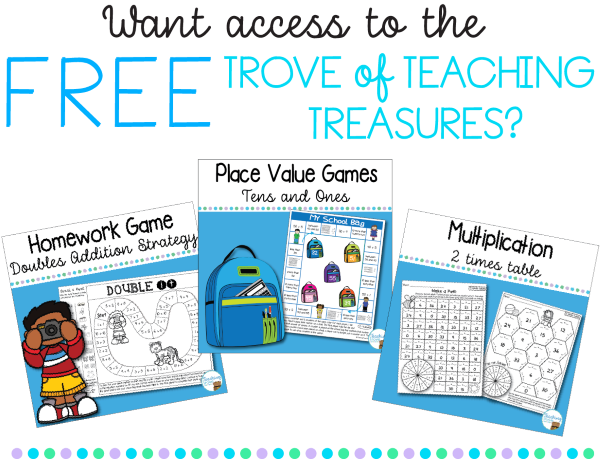 Few children grab a worksheet and say, “Great, I love worksheets!” With a game, you know you have their instant attention. 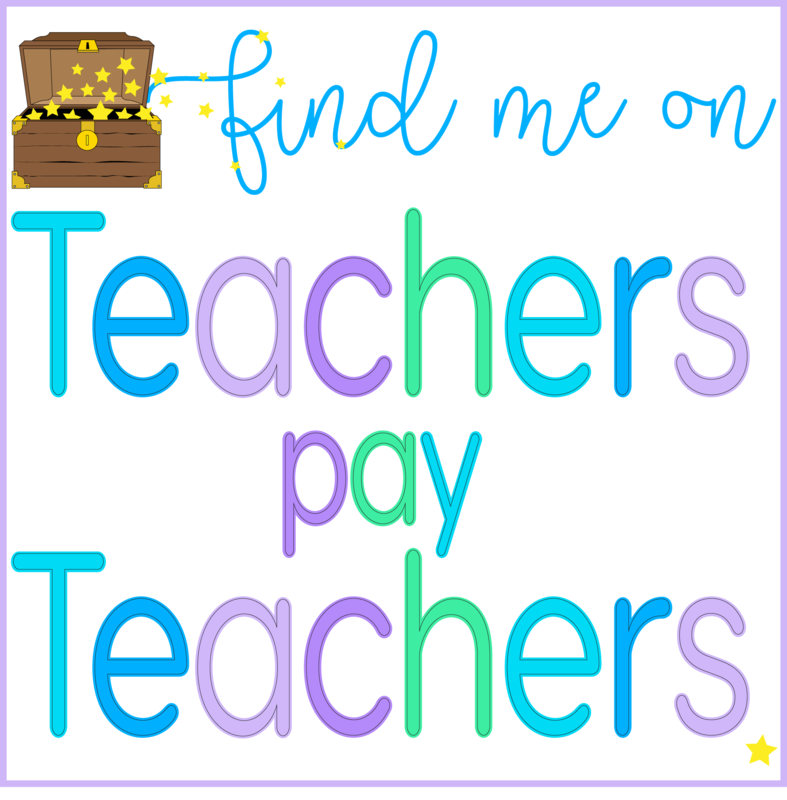 It’s the perfect teaching and revision tool. 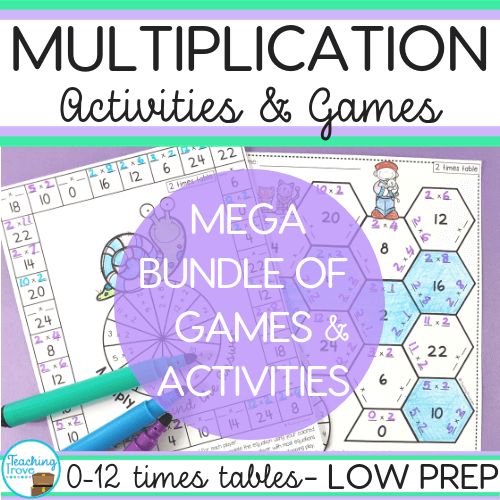 When I’m teaching fractions I’ll always put more fraction based games in my math stations. 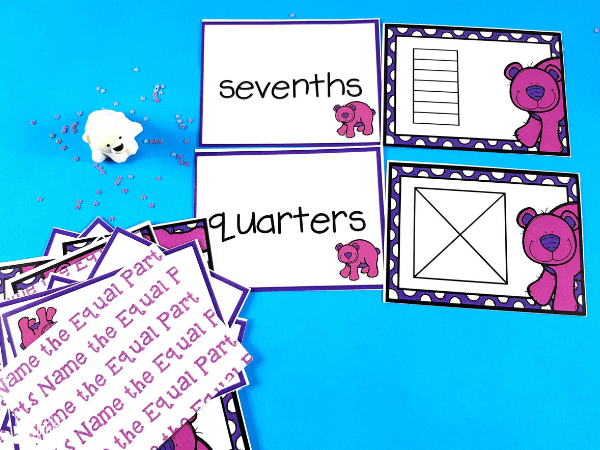 Even when I’ve finished the unit I include fraction games every couple of weeks to keep the concept fresh. 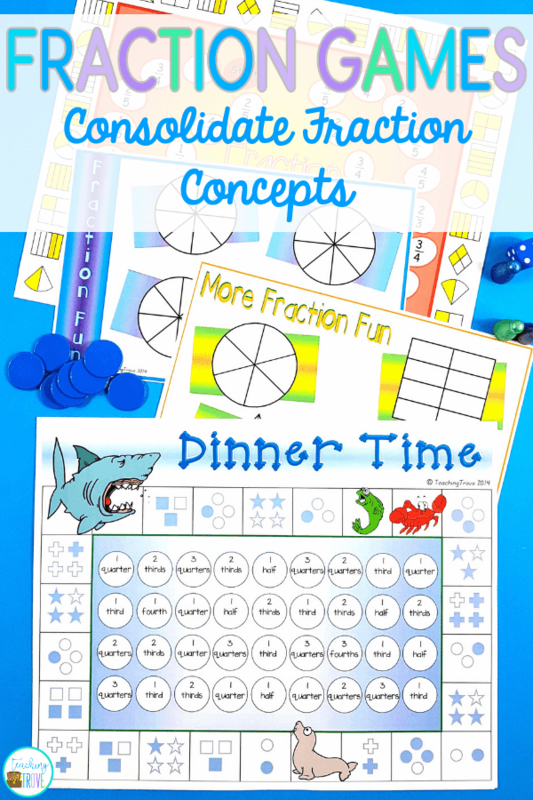 There are three key concepts that kids need to understand when it comes to fractions. 1. One (1) needs to be partitioned into equal parts. 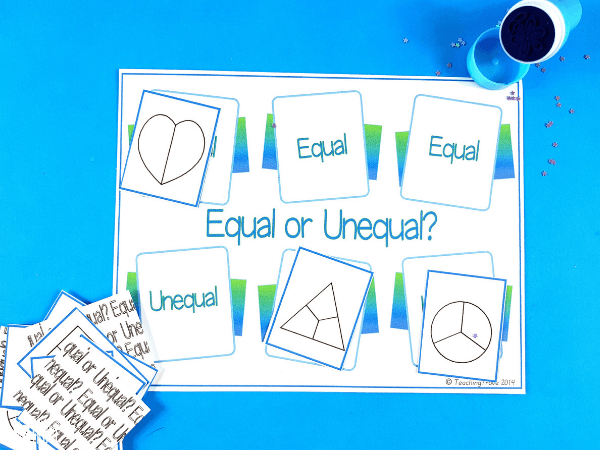 Give your students shapes that have been partitioned equally and unequally to reinforce this concept. 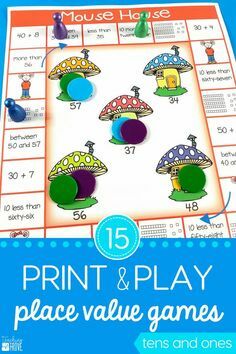 At this math station, each player takes turns to flip over a card. They decide whether the shape is equal or unequal and place it on their game board in the correct place. Some children think that when a shape is divided into two, it’s showing half. But it isn’t always. Halves must be equal. No one wants the smaller ‘half’ of a candy bar. 2. 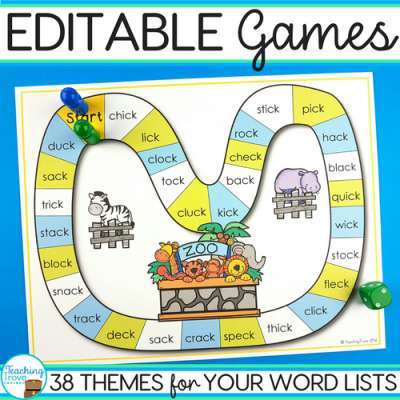 The number of equal-sized parts provides the name for each part, via the corresponding ordinal number. We don’t say 2 threes, it’s 2 thirds. Halves and quarters will be the exceptions. 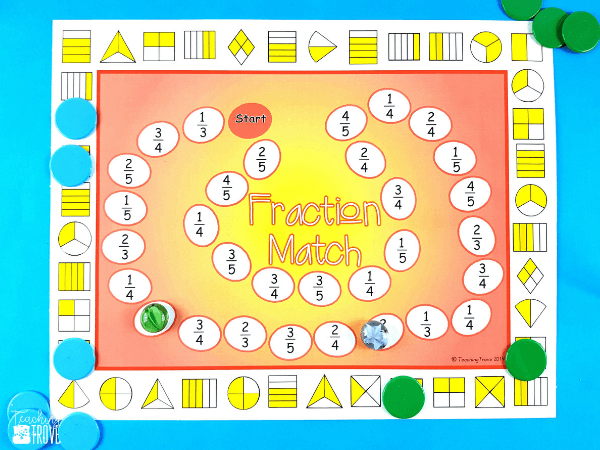 Use a game to have students match the fraction name to its picture. 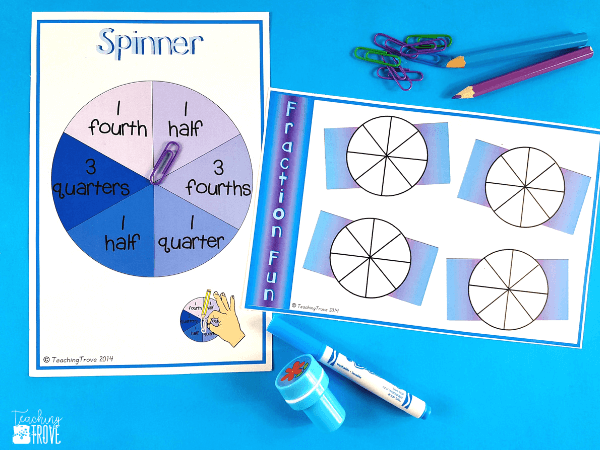 Here children take turns to flip over two cards and see if they can match the number of parts to the fraction name. Parts shouldn’t be shaded at this stage because we just want children to learn the fraction name. 3. The fraction name tells us how many equal-sized parts are shaded out of how many equal parts there are altogether. Early on we avoid using fraction symbols. Instead, we represent the fraction in words. 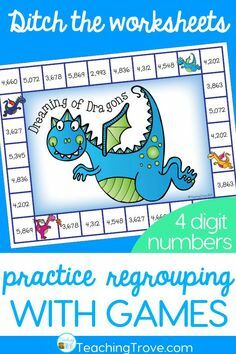 Children need to form the understanding that a fraction can be shown as part of a group not just part of a whole. 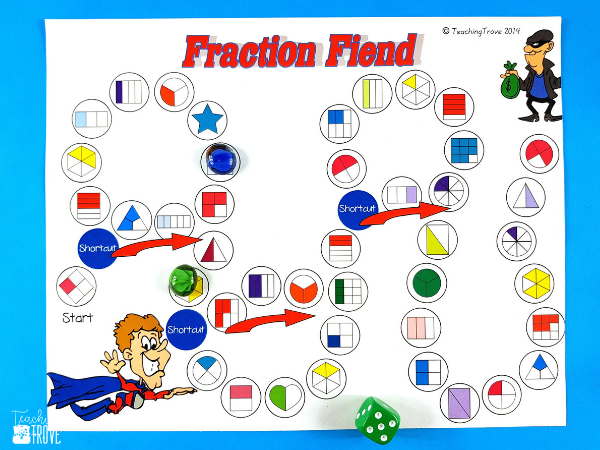 Use games where children identify the shaded part of a group and match it to the fraction name. 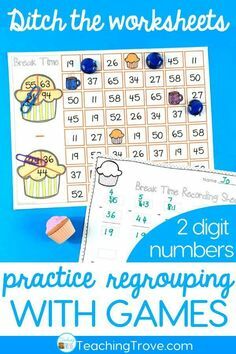 Give children practice with making fractions. 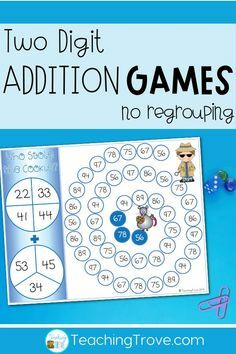 It’s important that children have lots of practice in matching the various ways that fractions can be represented. We also want children to have an understanding that the size or shape of the representation is not important. For example, eighths can be shown on a rectangle or an octagon. Once children can match fraction names with the models that represent them, we can start to use fraction symbols. 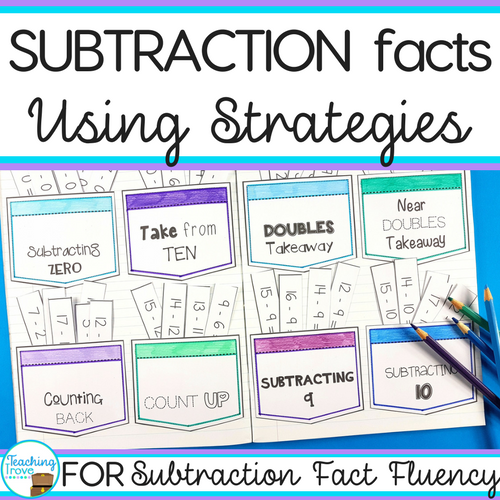 Listen to your students’ language as they say the name of the fraction. 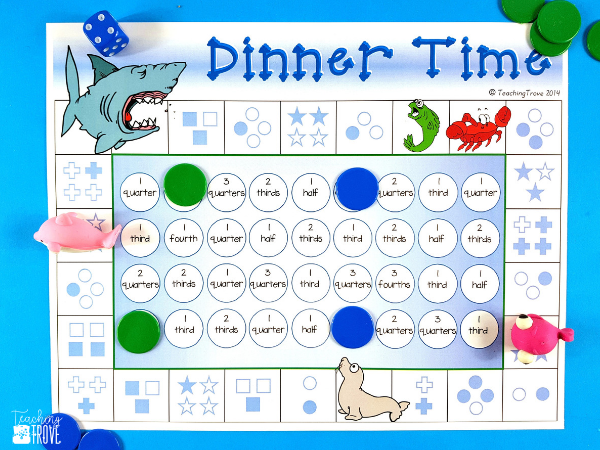 In this game, children say the fraction they land on. 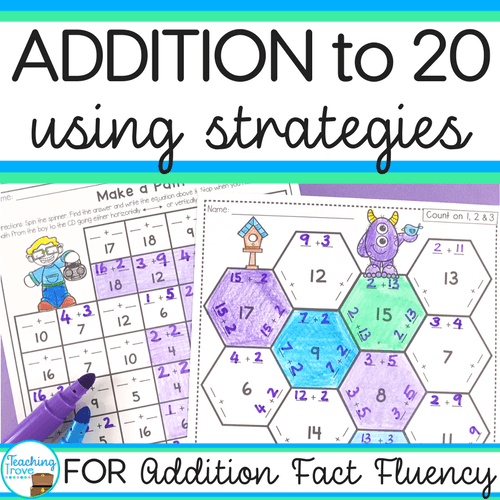 If we notice that children are saying 2 fifths as 2 thirds (they are seeing the unshaded portion of the fraction as the denominator) we need to go back to identifying the number of equal-sized parts with games like ‘Name the Equal Parts’ because children haven’t fully understood this concept. 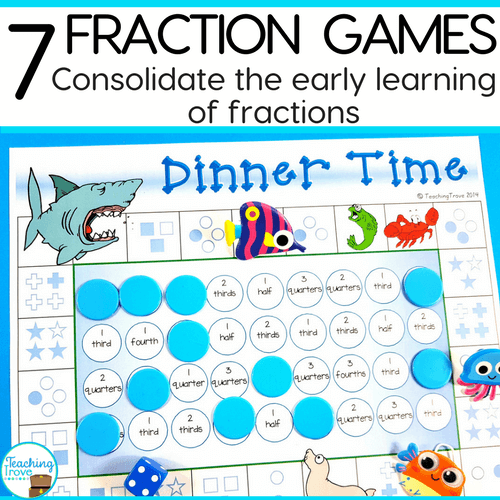 If you’ve taken it slowly and ensured your students completely understand the fraction concept, they’ll easily be able to identify the fraction to the fraction symbol. 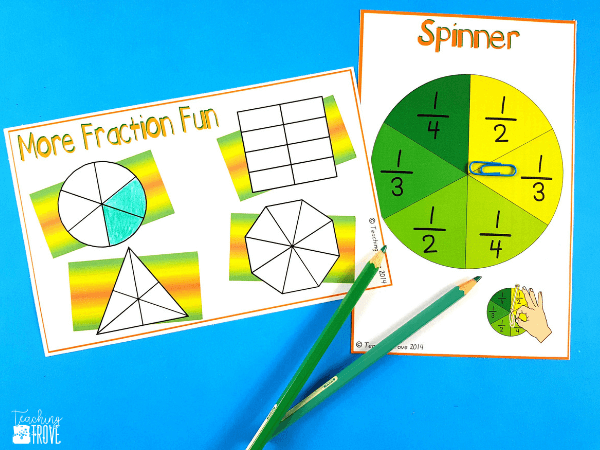 Learning about fractions can be tricky, so even after you’ve finished your fraction unit, you’ll need to keeep the concept fresh. 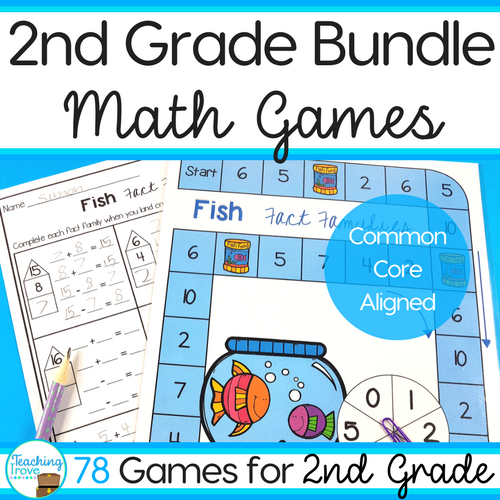 Using games in your math stations is a great way to get your students identifying and reading fractions correctly all year long.